Narendra Kumar - Adventure Trekking. RECOMMEND Me Now. No customer ratings yet, be the first one to rate Narendra! Narendra Kumar was born and brought up in Munsiyari, he did his schooling in Munisyari and did his graduation from Lucknow university. He got his inspiration for trekking from his father. He used to like adventure sports while a young boy. His favourite subject was mathematics in school. Narender owns Adventure trekking and he helps in all arrangements for treks and expeditions. Tourists used to visit his hometown and he used to be impressed by seeing the way they used to be prepared for the treks and expeditions. Initially he trekked along with them to learn from them and then he decided to make it his profession. His first trek was Nanda Devi East Base Camp, Milam Glacier and Ralam Glacier an 18 day trek, when he was in 15 years old. He has also done a skiing course. During winter time he conducts skiing courses in an institute called PNSSMTI (Pandit Nain Singh Surveyor Mountaineering Training Institue) Narender conducts all expeditions in the Johar Valley area. He has fond memories of a German family who used to frequent Munsiyari for trekking, they used to come every year and used to stay in his home as a family member. Narender has travelled to Amsterdam, Mappe and other places in Netherlands. He liked the neat and methodical system of Netherlands. 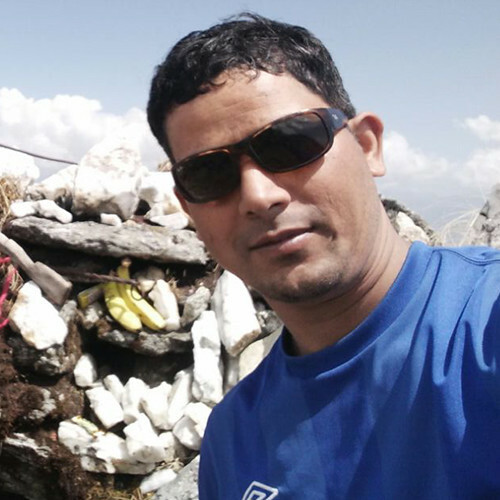 In the year 2011 he completed his basic mountaineering course and in 2015 he completed his Methods of Instructions course from NIMS Uttarkashi. He feels there needs to be awareness in people and people need to take responsibility. When he goes into the mountains he brings back the smallest wrapper he carries along. He feels even in the town people need to be aware and responsible about disposing the garbage properly. People need to understand that each one contributes to make the environment clean and everyones contribution matters.